I'm sure we all have 'those' kinds of days where you have no plans as such and you wonder what on earth you're going to do to entertain the littles for the day. We certainly do in our house. Days where we don't really make any fixed plans or have places to be, but where it can be hard to find enough to do to do in the house to keep them occupied. I'm sure it's not just me who has grand plans with things like crafts either, where I spend ages setting fun painting and glitter activities up only for LO to get bored after 5 minutes, after which I will spend a disproportionate amount of time cleaning it all away again. We do love doing these sorts of things, but it's not a regular occurrence. Those days will come I'm sure, probably when he's a little older and more interesting in arty things, but for now, it doesn't seem to be an interest of his, and that's absolutely fine. 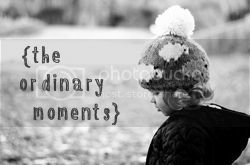 Instead, our most ordinary of moments right now are spent doing little household jobs together. I've come to learn that while crafty things and painting is so much fun and toddlers get a huge amount out of it, there's little point unless he's interested. And at the moment, he is most interested in being a little grown up and doing jobs that Mummy and Daddy do. From the moment he wakes up, all he wants to do is be like us, do what we do and join in with day to day jobs. He will go and get his breakfast bowl out and the Weetabix from the cupboard and he pass me his beaker from the dishwasher to fill with water. After breakfast he becomes my little helper, passing me things to put in the dishwasher or wiping the tray on his highchair. To me, these are just everyday mundane jobs, but to him, it seems to be the most exciting thing- and he is learning so much about everyday life too. Normally we do an online Tesco shop but today after his nap, we had a bit of time where we were at a loose end and not sure what to do. Rain meant we couldn't really play outside so we decided to head off to Tesco's together. Again, normally a really mundane everyday job, but he just loves it. We have a little routine where he holds the shopping list (he used to eat it before I had chance to read it) and we talk about what we need to go and find. It honestly makes shopping ten times more fun! We talk about what we are finding, what colour the fruit and veg is and then I pass him each item which he throws over his shoulder into the trolley. Today, he requested to get out of the trolley halfway through the shopping expedition. I must admit, I was a little nervous to let him out, especially as I was on my own and it was pretty busy. I needn't have worried. He happily strolled alongside the trolley, went to find things I asked for and carefully placed them over the edge of the trolley. One person even told me I was brave letting him walk around and another commented on how nicely he was walking around. I'm a great believer of giving them a bit of freedom and trusting them to do the right thing. I couldn't have been a prouder mama watching him walk around finding things off the shopping list, tottering around holding his little hands behind his back like his Great Grandad. It must have felt like one huge adventure to him, and he was clearly thrilled that I'd let him walk around himself. It really goes to show that sometimes, it is the simple things in life which can sometimes be the nicest, sweetest moments. Things like helping me unload the dishwasher or watering the plants, sweeping pebbles in the garden or feeding his two cats. One of his favourite jobs is putting the shopping away in the fridge. I adore these moments with him the most, mundane things in our daily lives together. It's our little routine and I love having a little helper too. I always remember my sister being my dad's little helper when I was at school, and I thought she had the best job ever. It's these moments I shall cherish and miss the most when he is at school in a few years, but for now, we are totally inseparable, and he's my best little helper. 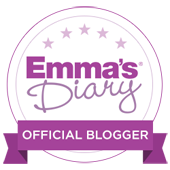 Linking up with Katie at Mummy Daddy Me for The Ordinary Moments. Aw this is lovely Amelia. Both LL and Mads are going through a helping Mummy stage, it's so sweet, but in different ways. It's lovely seeing their desire to learn and help- LL gets so excited when we praise her for doing something. So sweet!